I'm Chromagi. I am this site. Over the past year I’ve very slowly been migrating my hand coded HTML site originally from the 1990s over to this new database driven site. The majority of software titles in the collection are now migrated, except for a couple platforms. Most hardware items are however not listed. Unfortunately moving between various countries for the past few years and mostly being distant from the bulk of the collection has made it both difficult and a low priority. I am however adding new items in as they are purchased. It has been over a decade wait but finally I have moved the old hand coded site into the new millennium. Migrating the collection database is both the biggest challenge and opportunity. The Xbox is the first video game console to output in HDTV on supporting software. It supports a variety of output resolutions, including 1280×720 (720p/D4) and 1920×1080 interlaced (1080i/D3). Many games offer progressive scan mode (480p/D2), similar to VGA mode Dreamcast and to a lesser extent D2 on the GameCube (and even less so, the PlayStation 2). However a select few are capable of running at the higher resolutions, primarily 720p/D4. Unlike the consumer Microsoft Dash on all factory standard Xbox units, the development kit’s dashboard will run at a variety of resolutions internally and also output in various HD formats. Just to prove that the Xbox can run in HDTV resolutions at 50Hz (ie. 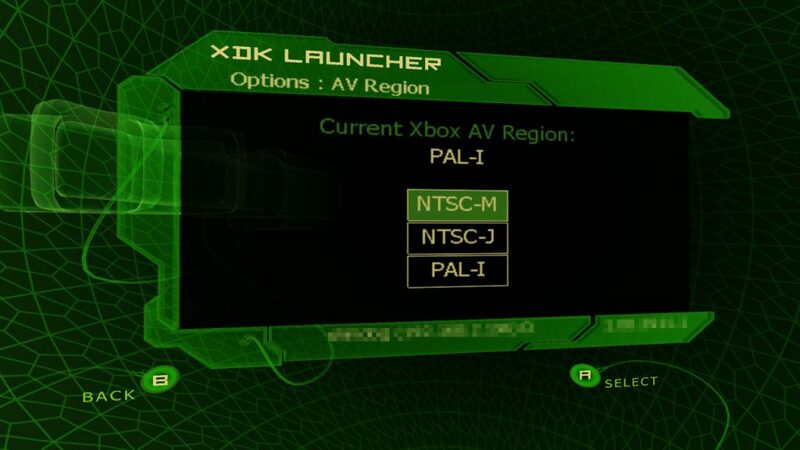 for PAL regions) I’ve taken the screenshot below from an official development kit. Normally the PAL BIOS has the HD options removed. This mainly affects consumers in Australia right now since Europe has limited uptake of HD, while in Australia there are several hours broadcasted daily on free terrestrial channels. The XDK is first set to PAL region / 50Hz, then changed to 720p resolution.